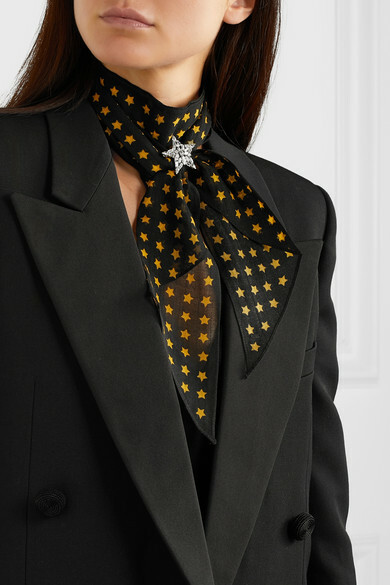 So many models on Saint Laurent's Spring '19 runway wore skinny scarves, and this version is a firm favorite from the lineup. 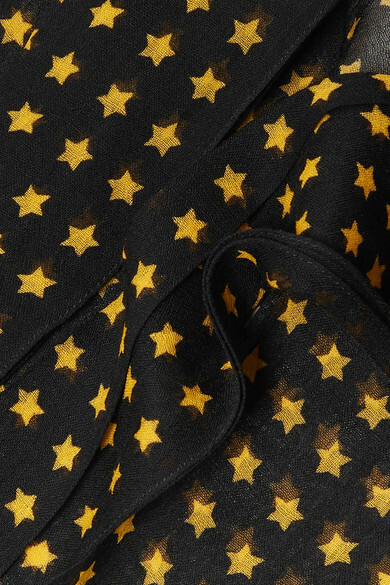 Made in Italy from lightweight wool, it's patterned with yellow stars that give it a signature rock 'n' roll look. It's perfectly sized to wear around your neck, tie in your hair, or attach to the handle of your tote. 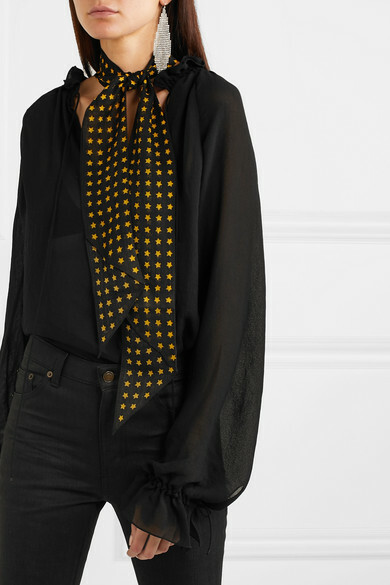 Shown here with: Saint Laurent Jeans, Saint Laurent Blouse.